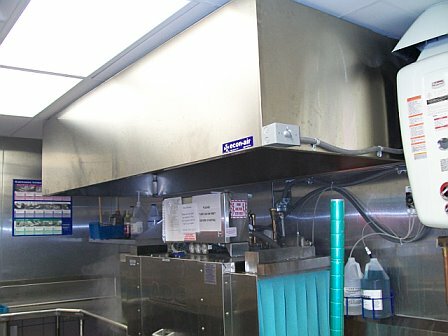 Condensate or vapor hoods are to be used only over kitchen equipment not producing grease laden vapors. They are constructed of 16 gauge 304 grade stainless steel. 304 grade is utilized for its high nickel and chromium content which gives the metal a high resistance to rust and corrosion. Beacuse these types of hoods are generally bombarded with water-vapor all day long this steel is absolutely necessary. Our dish hoods come standard with a 1'" gutter around the entire perimeter of the canopy bottom. They are custom made for any non-grease laden application.